CATS is quite simply a phenomenon. It is that brilliant song and dance spectacle that was first shown in London’s West End in May 1981 and from which the song “Memory” comes from. The award-winning musical that went on to win two Olivier Awards for `Musical of the Year` and `Outstanding Achievement of the Year in Musicals` and seven Tony Awards. It held the record for the longest-running musical on the West End until it was surpassed by Phantom of the Opera recently. It played 18years on broadway and has been presented in over twenty-six countries, in about three hundred cities, and in ten languages. The musical will be performed at the Tanghalang Nicanor Abelardo, CCP Main Theater from July 24 to August 8, 2010. Cats in Manila features an international cast and our very own Ms Lea Salonga, to amaze us with her world-class talent playing the role Grizabella. 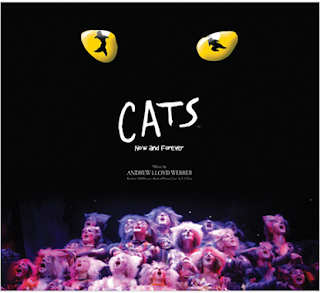 With magnificent music composed by the legendary Andrew Boyce Webber, including the poignant hit song "Memory", an imaginative set, inspired choreography and stunning costumes, CATS is a best-loved musical you wouldn't want to miss. For more information, call TICKETWORLD at (+632) 891.9999 or check out the TicketWorld website or the Cats in Manila Facebook page. Now get a chance to watch Cats in Manila for FREE by simply writing a post about Cats in Manila and and linking of Cats in Manila Facebook account (http://facebook.com/catsinmanila) or the Tumblr page (http://catsinmanila.tumblr.com) and emailing the post link to catsinmanila@gmail.com, with “Cats Blogger Contest” as the subject. Two (2) winners will be selected randomly and each winner will take home 2 tickets. Winners will be announced on Facebook and on the official Cats In Manila Tumblr page on July 19, 2010. Email notifications will also be sent to the winners.